A very hard wrasse to keep; they usually last for a number of weeks and then die. 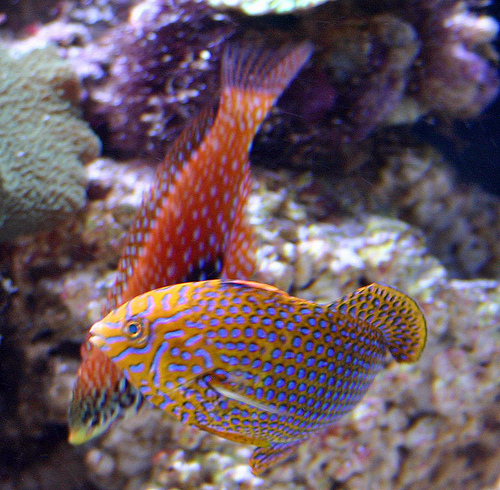 These fish have a poor track record and should only be kept by the most experienced aquarist. Just like many other fish from the Macropharyngodon group, they are sand burrowers so a sand bed is a must for increasing the chances of success in captivity.